Café Plate 12 cm || Design: Kristina Stark. Stackable plate in stoneware. 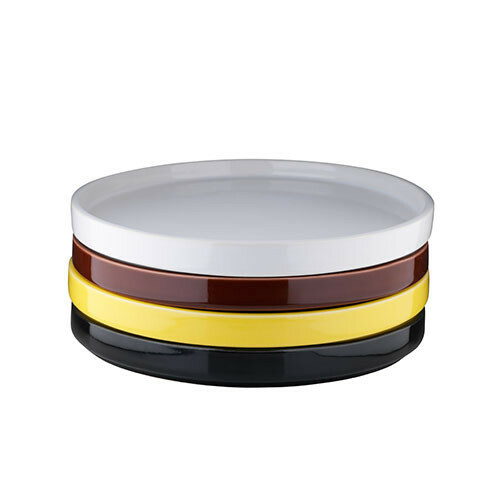 Comes in four different colours to mix and match: white, black, yellow and dark brown.